For your garage door to function effortlessly, it needs to be in proper alignment. 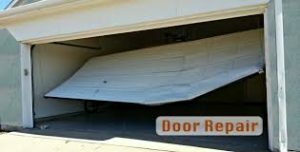 In case your garage door is out of alignment, not only will the door face problems when opening and closing but get damaged in the process as well. Bearing this in mind, it is essential for you to ensure that there are no gaps present between the rollers and the rails. On top of that, there should not be any bends in the rails either. These individual problems with the alignment of garage doors can stack on top of one another until the issue becomes a bit too hot to handle. The weight of the door will do its best to make these issues as worse as possible as well. Gone are the days when garage doors closed while something, or somebody, was still in their paths. After 1993, a majority of the garage doors come with two tiny photo eyes, on either side of the garage entrance, which transmit an invisible beam for the purpose of detecting anything which might be blocking the path of the garage door before it closes. However, if you start noticing that your garage door opens normally but does not closes effortlessly when the remote is pressed; chances are that there might be a problem with the photo eyes. Over the course of time, dirt can get accumulated and cause the light beam to be blocked. On top of that, the photo eyes can also become misaligned, causing the beam to not match on both sides. When you wish for your garage door to be opened, you wish for it to be opened up completely, right? However, there will occasions when the garage door will just stop short and open completely. 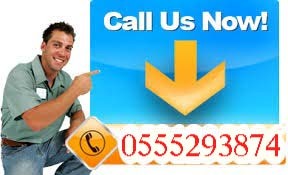 There are a number of causes that can result into such a scenario Garage Door Repair in Dubai. Mostly, this is a problem caused by the up-limit switch. When you notice your garage door stopping short when opening, it is advisable for you to move the up-limit switch towards the motor unit. Moving the switch closer to the motor unit will solve the predicament in a majority of the scenarios. Moreover, damaged rollers can also result into such problems. In case you find the rollers on the garage door to be damaged, it is essential for you to have them replaced and lubricate the ones that have become rusty.